Flooding caused widespread damage in Houston and other parts of Texas during Memorial Day weekend because of flash floods that besieged Texas, resulting in destruction in a matter of minutes. 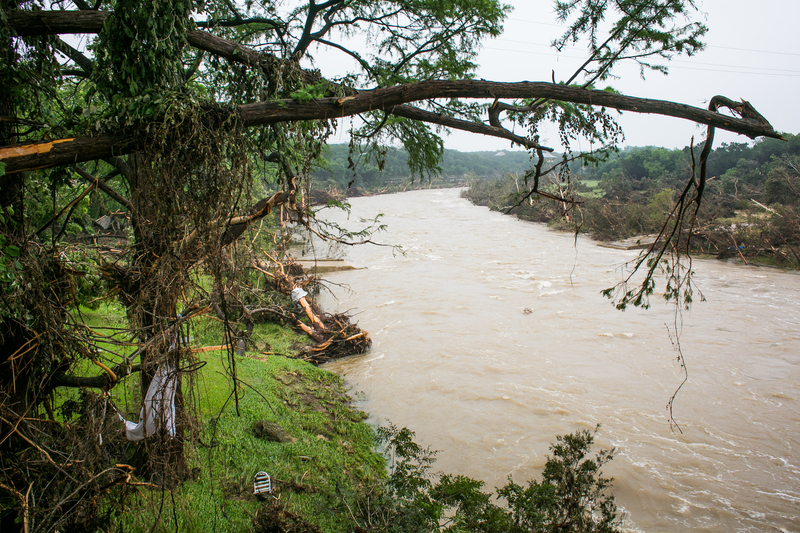 On Tuesday, the death toll rose to at least 18 people in Texas and Oklahoma, with more people still missing along the Blanco River in hard-hit Hays County. But what's the difference between a flash flood and a regular flood? Flash floods differ from regular floods by how much time it takes for water to accumulate. According to the National Oceanic and Atmospheric Administration (NOAA), flash floods occur within six hours (or sooner) after a rainstorm or other "causative event" hits. One can characterize a flash flood as "a rapid stream rise with depths of water that can reach well above the banks of the creek." Flash floods are likelier to happen in an area that has experienced multiple thunderstorms or when a particularly strong one lingers. The resulting damage can be devastating: "Flash flood damage and most fatalities tend to occur in areas immediately adjacent to a stream or arroyo. Additionally, heavy rain falling on steep terrain can weaken soil and cause mud slides, damaging homes, roads and property," according to the NOAA. In contrast, a regular flood occurs on dry land over a longer period of time. It can last days or weeks. For examples of flash flood damage, look at the pictures. Publications like The Guardian have compiled photo slideshows of what Texas flooding hath wrought, with trees uprooted, highways and cars submerged, and houses destroyed to their foundation. According to USA Today, officials began warning Hays County residents of flooding at 6:30 p.m. At that time, the river rose 12 to 14 feet in just half an hour. While rescue crews search for the people unaccounted for along the Blanco River into Tuesday night, officials in Houston are "cautiously optimistic" that the worst of the flooding is behind the city and its residents. ABC News reported that Laura McComb placed a phone call to her sister on Saturday night from Wimberley, Texas, in Hays County, as water swept her house away. "I'm in a house. I'm floating down the river. Tell mom and dad I love you and pray," she's quoted as saying. McComb and her two children remain missing. Local ABC affiliate KVUE has compiled a list of where to donate to help those affected by flooding in Hays County. Meanwhile, the National Weather Service has periodic updates of severe thunderstorm and flash flood alerts that people should watch out for.